Most importantly, these procedures ensure you and your workers don’t miss anything as you move from one room to the next. With the right plan to move through the house, you will avoid backtracking, accidents, and customer complaints. Customer complains are usually triggered by not having this plan and using it. 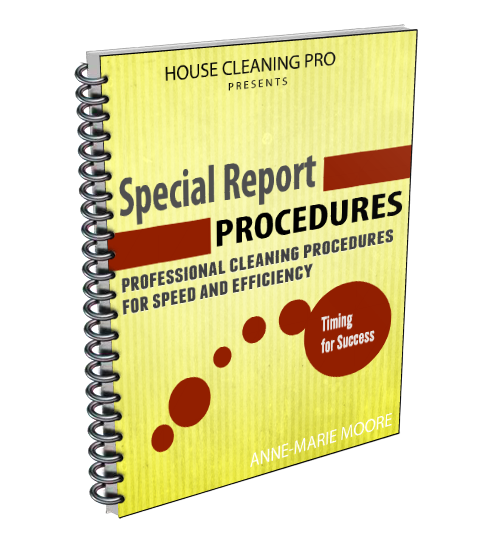 Things “the other” cleaning services forget to do – this will get you plenty of referrals! 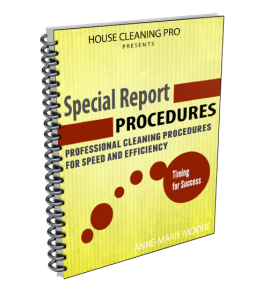 EXACT, step-by-step cleaning procedures for EVERYTHING in your client homes. Save Time – Book More Jobs – Earn More!